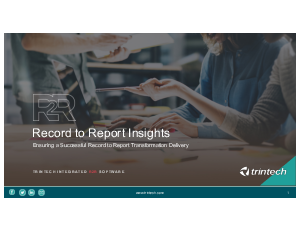 A best practice guide highlighting how to ensure a successful Record to Report transformation delivery. As many of us already know, any software implementation carries risk – both to the company and the person who is responsible for delivering value from the project. This eBook’s goal is to help you identify which technology best suits your business, how to get a project like this approved internally, and what you need to think about when it comes to delivery.